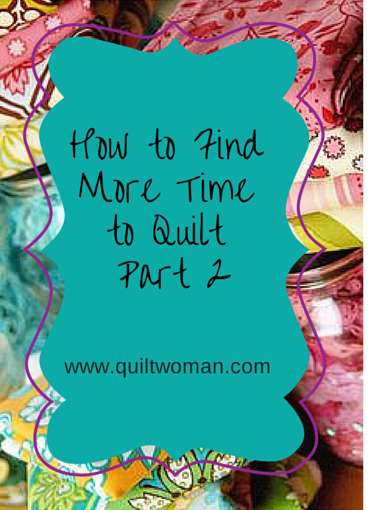 We are back to bring you five more great tips for finding more time to quilt. Earlier this month we asked our designers for their best tips on finding more time to quilt. This week we bring you the sage advise of Bea Lee of Bea Quilter, Susan Mayer of Quilting Discoveries, Sandi Colwell of Quilt Cabana Patterns and Julia Deal of SEW Artistic. 1. Keep your working area and supplies organized. Bea Lee of Bea Quilter says that she keeps her supplies super organized. It can be a motivation killer if you know that cleaning up after that last sewing session will take hours before the actual fun can begin. Bea also says that she likes to keep her supplies and projects neat but visible to inspire her. By being able to see her fabrics and trims, she can dream up innovative ways of combining them. Sometimes quilting projects take longer than others. Susan Mayer suggests working one more than one project at a time. “I keep several projects going at once, stored in clear plastic scrapbooking boxes. That way if I get bored with one, I can work on something else.” Likewise Bea “usually works on more than one project at a time, especially if it’s a “boring” project or something that usually takes a long time, it will be my leader and ender project and before I know it, it’s done!” Working on one project for too long can be a major enthusiasm killer. Change it around in order to stay motivated. 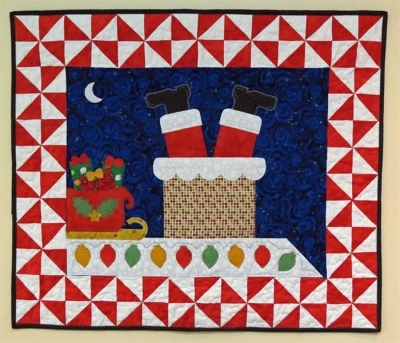 We absolutely loved Susan’s ideas for getting family members involved in the quilting process. “A good idea is to get your husband involved….ask for color ideas (they see things quite differently). They will be interested in how it works out! 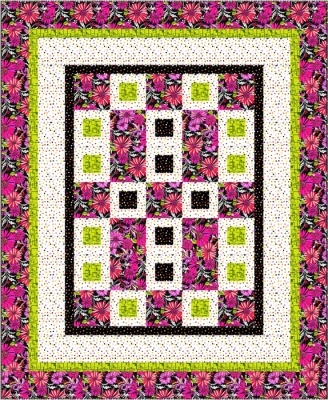 Try showing your family a few quilt patterns and let them pick one for a family quilt or one of their own. They will be interested in your progress; therefore giving you time to quilt! 5. Get Organizational Ideas From a Class. Julia teaches a class entitles “Sew Organized” where she discusses organizing tips and techniques she has perfected over the years. She says that she has students tell her years after taking her class how they still use the ideas she shared. Don’t miss more tips every Friday! We can deliver them right to your mailbox! 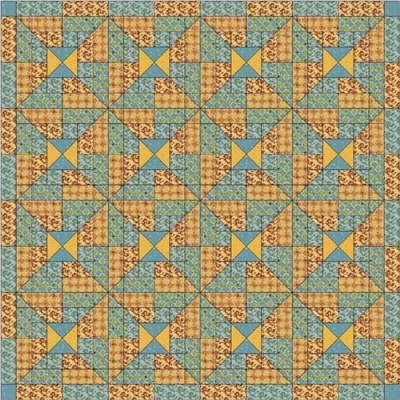 This entry was posted in 5 tip Friday, patterns, QuiltWoman and tagged bea lee, bea quilter, julia deal, Quilt Cabana patterns, quiltwoman.com quilt patterns, Sandi Colwell, Susan Mayer. Bookmark the permalink. Love tip #4 – Family time. My kids are still pretty young and people are amazed at how much I quilt. It’s okay to let them be a part of it. I have found that letting my son play with Legos on the floor in my sewing room works great. I show him sections of my quilts, and he shows me what he is making. A few 2 minutes breaks at the end of a row to play with his creations makes for a fun day for both of us. And you might be surprised how much fun a little boy can have with a magnet wand or bean bag weights. My daughter loves picking fabric colors, and is great at pulling out pins, which is how I started helping my mom. Thanks for sharing Lisa. Your willingness to let the kids be a part of it seems to be paying off! I often ask my husband about colour options when I can’t come up with a happy choice myself. He sometime surprises me with his choice especially when he picks something totally different off the shelf. Sometimes I don’t like the choice but there has be other times where I have had lovely comments on a choice he made that I have used. All these tips are very handy. Thanks for sharing them with us. It is brave of you to relinquish the control of color choices to your hubby and it sounds like it pays off! 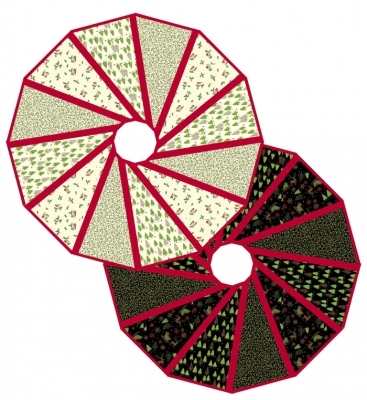 Quilting and sewing needs proper time management and you need to be very careful about this. The above post is amazing and contains useful tips. The above tips can save time and enable us to do the task more effectively and efficiently. Quilting and sewing are interesting tasks and if you keep the above small things in mind you can enjoy the task. Here you can sum up and prioritize all your activities, keep a calendar, schedule your quilting time, get into a disciplined routine, train family and friends to respect your quilting time. You can also organize your quilting, make sure you do everything slowly and correctly, and as soon as you finish a task clean up the mess. For more information you can visit http://www.warpandweft.ca/blog/ . My children abandoned me so all my time is spent crafting or quilting!